If you are a visitor or a newcomer to Unity Church–Unitarian, you will probably have many questions. This section is an overview to who we are, what we believe, and what to expect. You will find a warm welcome here. 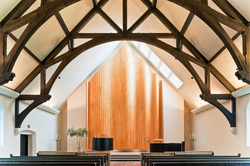 Unity Church - Unitarian is an intergenerational congregation of about 900 adults and 450 children located in Saint Paul, Minnesota. We strive for a deeply meaningful, transforming liberal religious experience, finding hope, beauty, and inspiration in our worship. Our religious community thrives on diversity. Many of our members were raised in other religious traditions and bring with them a variety of spiritual experiences. Our members are single and married, with or without children, and consist of people who are gay and straight. Our doors are open to all who wish to join us. We are a certified UUA Welcoming Congregation, one that welcomes and affirms bisexual, gay, lesbian and transgender persons. We are an in the process of becoming an anti-racist congregation with a team of members actively engaged in helping us challenge racial barriers in our larger society and within our congregation. Our facilities are handicapped accessible and our Sanctuary is equipped for those who require additional amplification. What are Sunday worship services like at Unity Church? On your first visit, you may choose to worship together as a family. Children and youth are welcome in our Sanctuary. Drop-in nursery care is available for little ones ages 6 months (and sitting up) to 3 years. Be sure to visit our Welcome Table in the Parish Hall and pick up a “New Family Welcome Packet” with information about our Ministry with Children and Youth. As soon as you arrive, please meet up with helpful staff and volunteers at the Welcome Table in the Parish Hall. They’ll guide you to the right place for you and your children. Plan on staying in the classroom with your child during the entire Sunday School session. 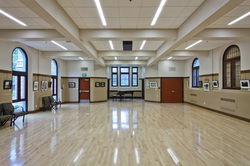 Junior High youth may attend on their own, provided a parent meets them at the classroom door at the end of the class. Watch for signs that indicate when we have a “Story Sunday” or “Family Sunday” on the day you visit. On these Sundays, families worship together for part or all of the service. If you visit at 4:30 p.m., please stay and share in Soup Supper with us! It’s a great way to meet other Unity parents and kids. Please know that we have a Safe Church policy in place, limiting enrollment in each class to safe ratios in relation to space and adult volunteers. The class that you visit may already be full, but we can always find a spot for new registrants at one of our three services. If, after your visit, you feel that Unity may be your family’s religious home, please join us on the first Wednesday of the month for our “New Family Orientation”. At this informative session, you’ll be able to register your child(ren) for the appropriate Sunday School program. Unity Church is a member congregation of the Unitarian Universalist Association, which includes over a thousand congregations throughout the United States and Canada. With its historical roots in the Jewish and Christian traditions, Unitarian Universalism is a liberal religion -- that is, a religion that keeps an open mind to the religious questions people have struggled with in all times and places.We are a "non-creedal" religion: we do not ask anyone to subscribe to a creed. This means that Unitarian Universalists believe different things: some believe in a personal God and find great meaning and support in prayer; others pursue a non-theist path, using Buddhist meditation practices or yoga or some other discipline to deepen their spiritual lives. Humanists among us sometimes describe themselves as atheists or agnostics. UU Christians follow the path taught by Jesus of Nazareth, and those who arrive among us from a Jewish background retain their Jewish identity while whole-heartedly embracing their new religious home. For more information on our denomination, please visit the Unitarian Universalist Association’s website. We thrive on our religious differences, because we believe that in the search for spiritual wisdom and maturity there is no such thing as a final answer: we keep learning and deepening our understanding all our lives. We therefore strive to create within our walls a lively and engaged religious home that supports the spiritual journeys of our members and friends through meaningful worship, quality religious education classes for adults and children and youth, Covenant Group discussions, exploration of a variety of spiritual disciplines, and socially engaged ministry in the wider world. What's going on at Unity Church and how can I get connected? We are a community of communities. We are a congregation with many opportunities to connect with others.There are many fellowship groups where members gather to share similar interests or a desire for broader and deeper fellowship. 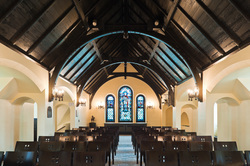 Spiritual practice offerings provide a small-group means to connect on a spiritual level beyond Sunday services with others from the church community. Community Outreach Ministry Teams allow our members to live out their liberal religious values in the world by engaging in social justice work, service, education, and advocacy to the larger community. These programs provide a catalyst for positive personal change as well as change in our local community and the world. Innovative lifelong religious education programs for children, youth, and adults, all provide opportunities for spiritual development. The Music Ministry is integrated into the life of the church through choirs, concerts, and community outreach. Our libraries and bookstall team uses resources across different medias to bring the church together using the monthly theological themes. Unity Church also holds Wellspring Wednesdays, a mid-week gathering for dinner, a short worship, classes, workshops, and fellowship every Wednesday evening. Dinner begins at 6:00 p.m. followed by a short intergenerational worship service at 6:45, and workshops and classes begin about 7:10p.m. Opportunities for fellowship occur all evening long and everyone is welcome. We welcome you to join with us in worship and community. Photos courtesy of Morgan Sheff Photography.